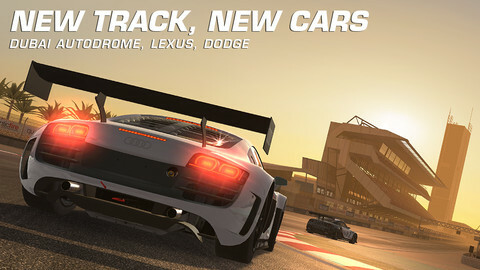 After teasing its upcoming Dubai Autodrome update, Real Racing 3 has been updated today with the famed track from the Middle East plus 50 new events, along with adding a new car manufacturer: Lexus. New vehicles available now include the following: Lexus IS-F, Lexus LFA, Dodge Charger RT, Dodge Charger SRT8. Click here to download Real Racing 3–it’s free. How many cars do you own now?